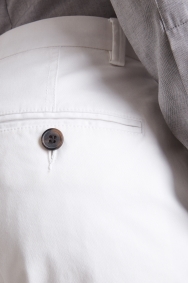 Casual meets sharp in these Moss London chinos. 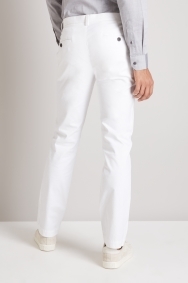 Make sure you look stylishly smart when you’re dressed down with these crisp white chinos. 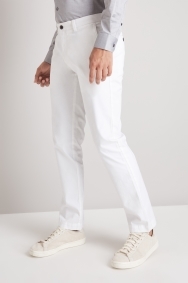 The slim fit is accentuated by a stretch in the fabric, so they look seriously sharp. Machine washable, they’re a handy item to own, and will go with lots of shirts. Team with a textured shirt in a neutral tone to work with the white, and keep your outfit casual with sneakers – just make sure they’re a smart pair.